Personalise your collection with a charm that really says something about you. 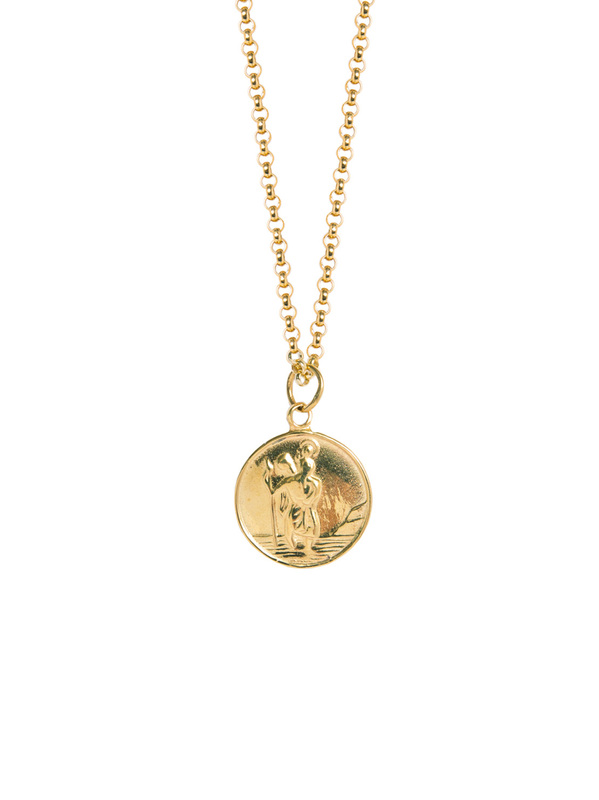 This gold-plated St Christopher measures 2cm in length and hangs on a sterling silver belcher chain that has been plated in 23.5 karat gold. This is an ideal travelling talisman, perfect for anyone going travelling. This could easily be the most perfect every day necklace. The chain is sterling silver with a 23.5 karat gold coating. It has 3 different length options. 40cm, 45cm and 50cm so depending on your neckline you can vary it daily. The gold plated starfish measures 2cm in length including the jump ring.